So, where will our Volunteer Coordinator be watching this year? Dir: John Trengove. South Africa 2017, 88mins. The Wound is my first Flatpick. It’s meticulous detail to the perspectives of Queer people of colour living outside of the western world made me instantly fall in love with this nuanced and sometimes brutal tale of forbidden love. It’s definitely a must-see. Dir: Toshio Matsumoto. Japan 1969, 107mins. My love for Japanese culture has been growing for years. However, it’s always been my understanding that Queer culture in Japan has only recently flourished as a subculture- a queer underground that sits apart from the public face of Japan. This beautiful and understated film about the queer 60’s of Japan has enlightened me. Probably one of the highlights of the entire programme for me. For more info and tickets to this rare screening click here. Dir: Hiromasa Yonebayashi. Japan 2017, 103mins. Who hasn’t dreamt of magic. Being whisked away on a supernatural adventure. Mary and the Witch’s Flower is for everyone. 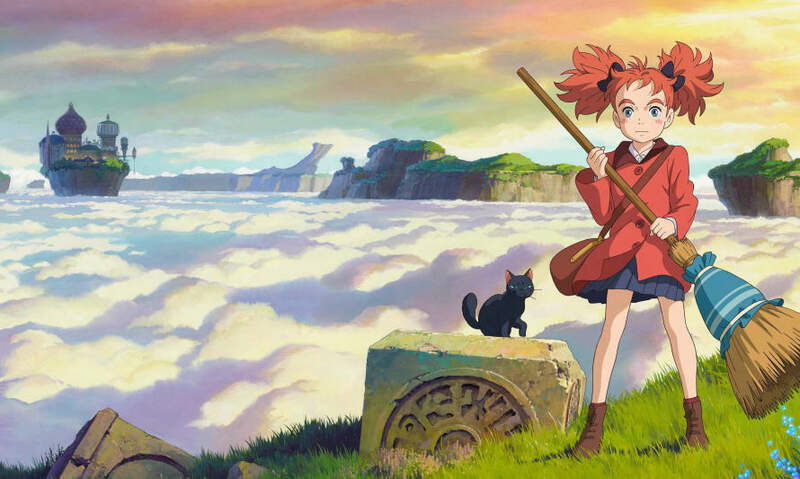 The first film from Studio Ponoc, a sector of the infamous Studio Ghibli, and illustrated by Nippon Television this film reads like a quintessentially British fantasy. But layered within illustrations of Scottish country landscapes is the undeniable japanese feel, reminiscent of Up On Poppy Hill. This film is full of twists and turns and is perfect for both children and adults. I gush, but so will you after seeing it.